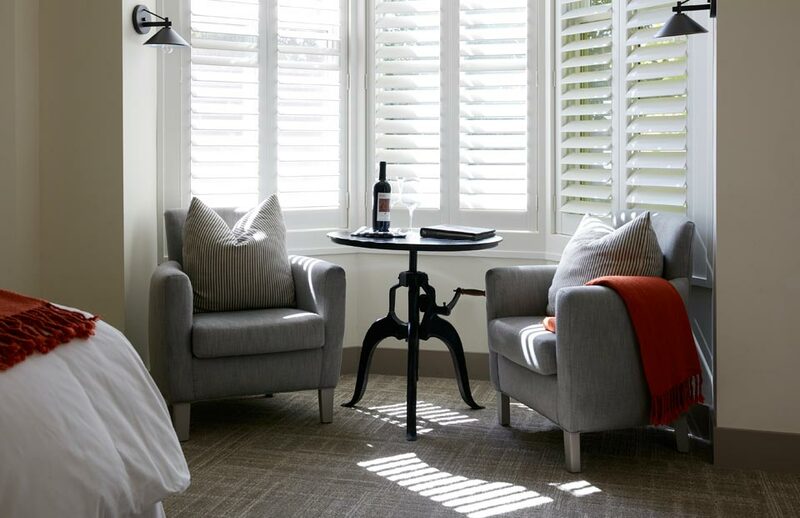 Here at SENZA Hotel, located on Highway 29 just south of Yountville in Napa Valley, we have just completed the renovation of our eight-room historic Parker Mansion in our continued effort to offer our guests world-class comfort and elevated features in Napa Valley. The Parker Mansion was built by local naval boatman, Harry C. Parker, in 1870. The five-month renovation projection, designed by Leslie Wilks Design in partnership with More Associates and Bowman Construction, was the last part of a three-year renovation of the entire 41 room SENZA Hotel property. 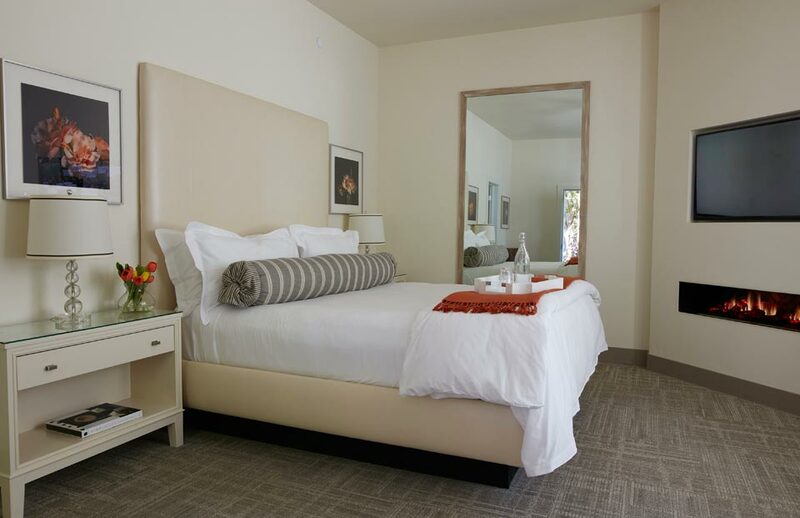 The Parker Mansion guest rooms offer custom furniture in each room to create a unique experience at SENZA Hotel. The premier virtual fireplace creates a wonderful ambiance without the hassle, and is everything a fireplace should be! 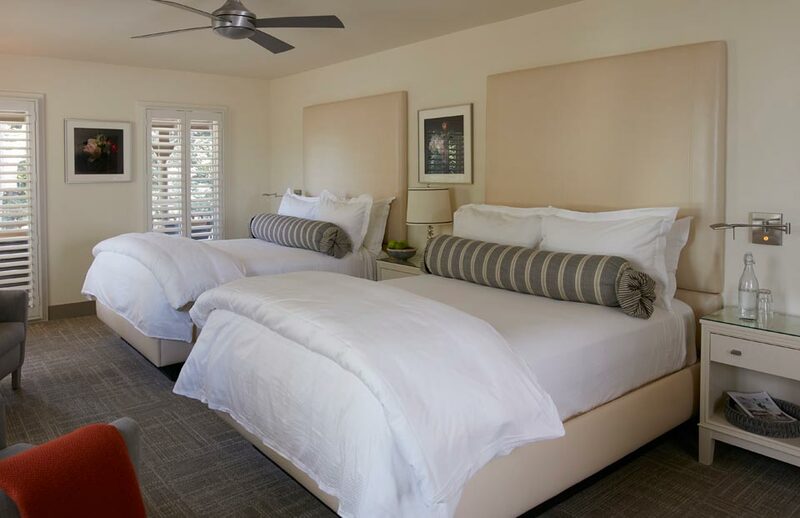 Custom 300-count Italian linens adorn the beds and large smart screen TV’s allow you to stream away to your heart’s content with a Bluetooth audio station, and six USB ports in each room. The newly renovated Parker Mansion bathrooms feature many unique small touches that make a big difference to the guest experience. 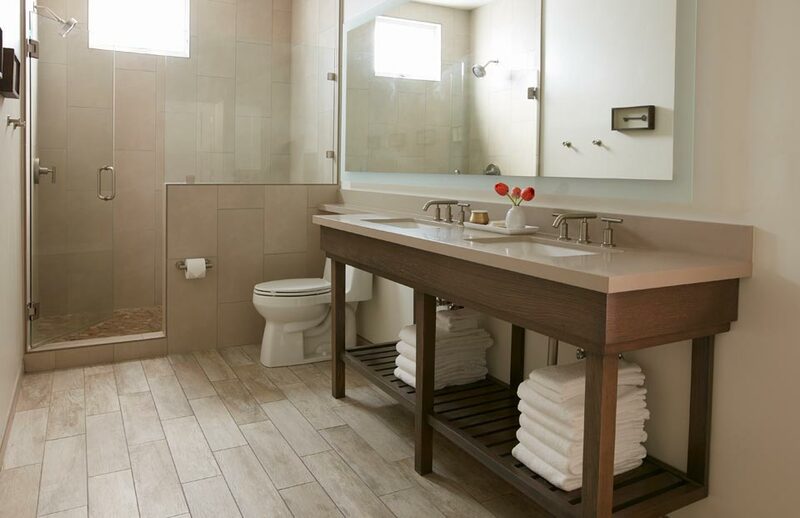 The bathrooms feature heated floors alongside custom vanities and each bathroom is inspired by a neutral earth-tone palette and features environmentally friendly Caesarstone counter tops. Glass framed over-sized showers create a unique relaxation space and are complemented by a custom amenity line from Marin-based Prima Fleur and unique custom towels crafted for SENZA Hotel. Learn more about the Parker Mansion here and book your Napa Valley stay with us here.